MIAMI, October 3, 2016 — A group of researchers, led by scientists at Sylvester Comprehensive Cancer Center at the University of Miami Miller School of Medicine, has shown that histone deacetylase (HDAC) inhibitors have the potential to eliminate stubborn reservoirs of breast and ovarian cancer stem cells (CSCs). These stem cells help tumors resist standard treatments and play a significant role in metastasis and relapse. The study, published in the journal Oncogene, also highlights a genetically engineered cell line that makes it easier to study CSCs and could help researchers make further breakthroughs. "The best way to understand something is to build it," said Tan Ince, M.D., Ph.D., scientific director of Sylvester's Live Tumor Culture Core and Tissue Bank Core Facility, associate professor of pathology at the Miller School, and lead author on the paper. "We have created a cell line that mimics cancer stem cells, and by studying them we have identified two leukemia-targeting drugs that could be used to treat breast and ovarian cancers." This research unites two complex aspects of biology: cancer stem cells and epigenetics. Like normal stem cells, CSCs can both divide and differentiate into other cell types, in this case tumor cells. Because they divide slowly, CSCs often defy traditional treatments – which mostly target fast-growing cells – and can regenerate tumors. To complicate matters, their numbers are quite small, making them difficult to isolate and study. Ince has been working on this problem for more than 10 years and previously found that HDACs 1 and 7 (there are 11 total) are overexpressed in metastatic breast and ovarian tumors. HDACs are epigenetic enzymes that influence gene expression. In the current paper, Ince and colleagues used a unique cell line developed by his lab to interrogate CSC biology. Called BPLER, these genetically engineered cells exhibit many of the traits associated with CSCs and are much easier to study. "This model is a product of our research," said Ince. "We feel it is uniquely useful to facilitate epigenetic research on cancer stem cells." Comparing the BPLER cells to a line called HMLER, which replicates non-stem tumor cells, the team found that HDAC 1 and 7 are overexpressed in CSCs. In addition, these two HDACs play a critical role in maintaining CSC populations in tumors. The next step was to inhibit HDAC1 and 7 and assess the impact on CSCs. While there are inhibitors on the market, they target all HDAC enzymes, which can generate side effects. Fortunately, two inhibitors in clinical trials for leukemia and lymphoma – MS275 and MGCD0103 – were more selective. "These two agents were designed to target HDAC1, but we found they also target HDAC7, which even the manufacturers didn't know," said Ince. "This was perfect, like hitting two birds with one stone." The inhibitors succeeded, reducing proteins associated with CSCs. Even more impressive, their effects were long-lasting. "We ran cell proliferation assays two to three weeks after treatment and could still observe the drugs' effects," said Ince. More work must be done to better understand the mechanisms behind these inhibitors. It's unclear whether the HDAC inhibitors force the CSCs to become normal tumor cells or destroy them altogether. Ultimately, the team hopes inhibiting HDAC will undercut cancer's ability to resist treatment. "HDAC inhibitors may make tumors sensitive to other therapies but they also work as single agents," said Ince. "They will likely be combined with other therapies." This study was funded by the Breast Cancer Research Foundation and Sylvester Comprehensive Cancer Center. 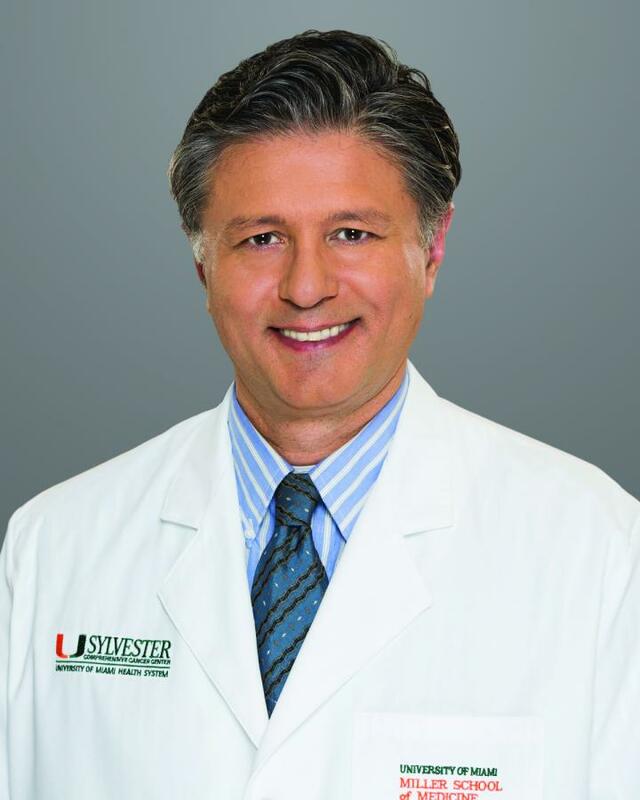 Sylvester Comprehensive Cancer Center, part of UHealth – the University of Miami Health System and the University of Miami Miller School of Medicine, is among the nation's leading cancer centers and South Florida's only Cancer Center of Excellence. A 2015 study by Memorial Sloan Kettering Cancer Center, published in The Journal of the American Medical Association, showed that cancer patients treated at Sylvester have a 10 percent higher chance of survival than those treated at nearly any other cancer center in the nation. With the combined strength of more than 120 cancer researchers and 130 cancer specialists, Sylvester discovers, develops and delivers more targeted therapies, providing the next generation of cancer clinical care – precision cancer medicine – to each patient. Our comprehensive diagnostics, coupled with teams of scientific and clinical experts who specialize in just one type of cancer, enable us to better understand each patient's individual cancer and develop treatments that target the cells and genes driving the cancer's growth and survival, leading to better outcomes. At Sylvester, patients have access to more treatment options and more cancer clinical trials than most hospitals in the southeastern United States. To better serve current and future patients, Sylvester has a network of conveniently located outpatient treatment facilities in Miami, Kendall, Hollywood, Plantation, Deerfield Beach and Coral Springs, with plans to open in Coral Gables in 2016. For more information, visit sylvester.org.